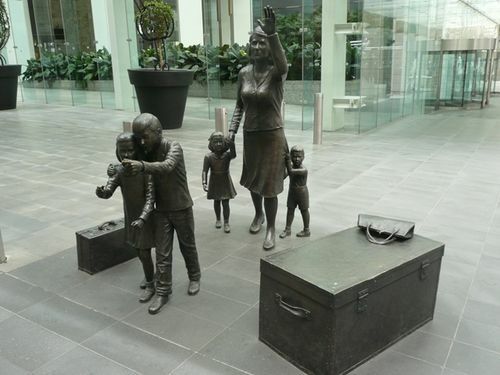 A sculpture commemorates Italian migration to Australia, and migrants from other countries who settled in Australia as well. Note : As at 16-June-2017 we have been informed that this monument has been relocated. We do not know where it has been relocated to. to commemorate Italian Immigration and all migrants, to Australia. who captured the moment of the reuniting family. The Honourable Sir James Gobbo, AC, CVO.